Smartphone Parenting… Is It Really that Smart?!? Brace yourselves! Here comes another Rants and Raves. Unfortunately, as some of you already know, there are many more Rants than Raves! That said, be forewarned that this Rant has absolutely NOTHING to do with Cozy Mystery books OR even mystery books. First of all, I have chosen a cell phone that it isn’t quite as smart as I am. Granted, I can’t remember all nine of the phone numbers I have programmed into it, but I still consider myself smarter than my antiquated, flip-open phone since I am the one who programmed those nine speed-dial numbers. I have a computer at home that I use to get information, and I have a cell phone I use to call people. That’s how I have opted to live. My husband and I go out to lunch at least once a week. Since he retired, we have decided that the weekdays are much better for us >>> We never have to wait for a table, and the service is generally much better when the restaurants aren’t busy. Lately we have noticed that more and more of the other diners are sitting with a friend or two, but they all have their Smartphones out. (You will probably notice that I’m capitalizing the word Smartphone. There’s a reason for that. I think their owners think of them as proper nouns, rather than common nouns!) It appears that a lot of people have such busy lives that they have to “take care of business” while lunching with coworkers/friends. Since they all have their Smartphones to keep them occupied, it must be OK with all of them. Since it appears to be OK with all of these adults that we see playing with their Smartphones while supposedly out enjoying a meal together, I’m not going to Rant about that. HOWEVER, and here it comes, I am going to RANT about something we are noticing when we go out to lunch on the weekends with our son: Parents who are occupied with their Smartphones while their children are present. What’s with that!?! Last weekend, we took our son to lunch and I had a great vantage point of the room. I actually watched one little girl “enjoying” her lunch outing with her mother, who of course, had some very busy business to attend to on her Smartphone. OK, granted, I am not a busy mother of a little eight year old, but would I really spend my entire meal ignoring my child in favor of cruising around on my Smartphone? At one point, the little girl lay on her chair (on her stomach) which was the one time I saw the mother have any interaction with her… and that interaction consisted of briefly getting mad at her daughter and telling her to behave, and then … right back to her important business on her Smartphone. I now see this same Smartphone Parenting at places like the grocery store, the zoo, on nature walks, while families are in the car, even in an aquarium we visited. Can you believe it? Walking with your children while cruising through your Smartphone?!? The point I’m making is simple. I am simply amazed to see a lot of young parents who must think their children will always be young and impressionable. I know that at the time you are parenting little ones you think that they will always be there with you. They will always have time to spend with you. They will always want to spend their free time with you. Oh Danna, don’t get me started about phones! My husband and I just got a cell phone two months ago. We had lived without this “so called necessity” up until that time. Did not feel the need for one. It cracks me up that you cannot go to a restaurant without people either talking on their cell phones or checking messages, etc. When did this become so important? I think a phone is nice to have when you are traveling, but other than that, no thanks! I do not want to be that accessible to anyone. As far as parents ignoring their kids, my question is, what is more important a phone or you family? It is really sad how we have become so dependent on phones today. Technology is all well and good, but sometimes I am not so sure. Phones have taken over, and it does not look like it will stop anytime fast. The ones who drive and talk/text are the ones who scare me the most. Humans get in a car and do everything except drive the car. Now that is scary. Guess I am just getting old! Patti S, we use our cell phones for travelling, also. And, since we are on a family plan, I use it for calling my mother and brother in Colorado. Of course, I do my calling when I’m alone in our house, not while I’m out enjoying a lunch with friends or family. It’s illegal to text and drive in Texas, however, I see it happening all of the time. You’re right, it really is scary. I totally agree! I had it happen once with a friend and I wish I had said something then. Rude, rude rude. Anne, or how about when your friend uses it under the table, as if you don’t know it’s being done! Danna, I enjoy reading your rants and raves mainly because I usually think the same way about the subject. 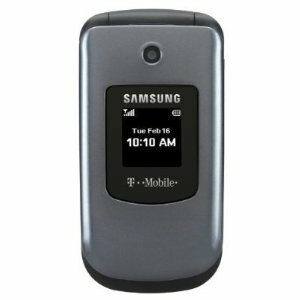 I still have the old style flip top cell phone and do not intend to replace it until it dies on me. When I am enjoying my grandchildren and we go somewhere I refuse to answer it when it rings. I have it along in case something happens and I need help. My children and older grandchildren are on their cells all the time and I swear, I am going to make a sign and put it on my forehead to let them know I am here! I refuse to learn to text because I want to hear their voices when we are on the phone together and they are good kids. They call often. The video brought tears to my eyes because it’s so true. Hi Judy. I’m replying to you here, because I don’t see any click-able link to a blog of yours. Oh I hear you, with kids and ‘grands’ being on those ding-dang phones. but of course they are. Their parents do the same thing. Yishhhh… Harrrrrrrrumph…. Tessa, it’s OK, really, to reply to these comments. That song pretty much says it all. And it was written way before smartphones! Unbelievable! And yet… My 58-year-old brother was visiting a couple of weeks ago, and he had his Dumbphone on ALL the time. With the sound turned on so that every message was announced, and then delivered out loud! It drove me nuts. And a few months ago he called me and then proceeded to text someone else while on the phone with me. (I did call him out on that one.) I thought that was restricted to teenagers, but apparently not! I reply to you, in these comments, because I don’t see a link to your blog. I’d have told you personally, if I could have. Tessa, please feel free to reply as much as you want to people’s comments. We actually enjoy engaging in conversations here. Oooh! Pet peeve of mine! Not necessarily phones (Smart or otherwise) but parents who pay no attention to their kids while they’re out! Just let the kids run wild. I even had a woman go and shut the (wedged open – for a reason) door of my shop just so that the kid couldn’t run out into the road! She was annoyed, too, when I opened it again to let a customer in, and she actually had to control her child! Phones and etc just seem to be making things worse. 🙁 Whatever happened to responsibility please? P.S. I’ve always loved that song, and while I don’t have kids, myself – yet – even I recognise just how true it is. Susan*, that woman sure had a lot of nerve to move your door stop. As irritating as the parents can be, it is really sad for the children to be so totally ignored. This dependence on technology is dangerous. All it will take is a huge sunflare or magnetic pulse and Americans will be like roaches on their backs, waving their little legs around helplessly. Keep your appreciation for the natural world alive and active and share it with your children and grandchildren. Don’t let them ignore the world-outside-the-electronics. We older folks remember a time when we could play outside all day [and take in the natural world]. Or go off to a park and read a book. Or snuggle under the covers and read a book. Or sail, or bike, hike, camp, look at the stars, or wade in the ocean. People are growing up to consume things they see in electronic media … usually more electronic media! They work hard at jobs they may not like very much so they can afford to buy the latest thing, be it fancy new talking cars with DVD players in the back, video games, or other “stuff” we got by perfectly well without. I see dependency, almost addiction, when I see this stuff, and it worries me greatly. Especially when it comes to the safety of others on the roads and highways, and when it comes to the minds of the generations after us. Sigh. Dadburn whippersnappers. Do you supppose this is the way our parents felt when they saw us with transistor radios? Playing LPs on our record players? Watching TV? Maybe. But I fear that instead of people consuming pastimes, pastimes are consuming people. With great respect, I agree with you, but think you’ve mistaken a symptom for the disease. I may say that I hold no brief for the smartphone or, for that matter, the mobile phone. I use a smartphone myself, but that’s due to blindness/hearing impairment which means I need braille. The only people who have implemented braille on a mobile device to any extent are Apple with their iPhone, and that’s a great thing for those of us who want to know where we are/what’s going on. With many obvious exceptions (travelers, people who drive in difficult places, people who are going into danger), the phone is more apt to remove privacy and serve as a leash for one’s employer/social network of choice than to be a useful tool. Having said all that, though, the disaster you see isn’t because of the phone, it’s because people have chosen to ignore their kids. I don’t say this is a deliberate choice, though I suppose it may be in some cases. All I say is that it is the choice of the people in question, and has been for many years, long before the advent of phones. Some people just don’t seem to like kids, or maybe they give the raising of their kids a lower priority than something else, whether that’s the job, the discussion with a friend, the addiction… You get the idea. I daresay this is often a bad thing, but it’s nothing new, and nothing to do with technology, after all, don’t people often send their kids to boarding school when they can afford it? Where the phone does give a new twist is in being able to be physically present, thus spending “time with my kids”, while being mentally absent. That might have been more difficult before, I’m not sure. It’s also more obvious to others. After all, would you have asked yourself, if someone was sitting with a friend at the restaurant, whether his kids were at boarding school, whether he had seen his kids in the past month, or whether he even had kids? When he’s sitting with another person he’s entirely ignoring, that’s a bit clearer, and it’s even plainer when he’s with a large family. All that is to say that the problem isn’t new and isn’t the smartphone, it’s that some parents think they’re not primarily parents. Maybe they’re right, though I don’t think so, but the problem or characteristic, depending on your point of view, is that they’re distracted, not that they have a phone. a.s., the problem that I am talking about is when people use their Smartphones as “a leash for” their “social networks”>>> which doesn’t make sense to me, since the fact that they had children must have meant that at one time those very same children were more important than their “social networks”. I agree with you, but that, too, isn’t to do with smartphones. The people who had children probably didn’t think, at the time, that their jobs were more important, though it is obvious, from the amount of time and effort many people put in, that the job is often far more important than the kids. Frankly, I think the child should be the most important aspect of one’s life, it was brought into the world by the parent’s will and I have this feeling that the kid will be acting on the world long after companies that people work for and the social networks they love are footnotes in the history books. Most people seem to disagree, and whether that disagreement is shown through a phone or through waking up at 4:00 AM, going to work, and getting home at 8:00 PM, it’s still disagreement and still, I think, mistaken. We went spent some bucks to take a family theater outing around Christmas time. Was a splurge for us, but looked forward to it. Evening started nice. Theater and show was lovely. Everyone was dressed for the season. Then, about ten minutes into the show, people in the rows ahead of us started texting and reading text, their screens lighting up constantly like little strobe lights in the darkened theater. I guess they thought it was okay since they turned off the sound, but every time another light came on it got everyone’s attention away from the stage. I can’t think of a more rude experience I’ve encountered lately. I spoke to the theater manager afterward, and asked if they could announce next time to “Turn your phones Off; don’t just turn your ringer Off” and why. She agreed, and said she could try. Sadly, that’s all we can ask for now. They did ask for the phones to be turned off, and the ringers were. But there were hundreds of phone screens going on and off all through the performance. And with the seating area darkened it was like a search light going off for everyone seated behind them. I don’t know how it was behind me or in the balcony above, but I assume it was no different. Sad when you have to give Specific Orders to adults. I expect that out of kids, but it was the adults who were the problem. How disheartening that must be for the actors on stage to know that they have to compete with a phone for attention. Mark, you’re right about this. I’m glad you made this point. The actors must really resent that they have to compete with all sorts of external stimuli which doesn’t belong in the theater. I go to lunch (or dinner when we are traveling) with co-workers. Everyone pulls out their smartphones and no one talks. One day, I got so disgusted, I pulled out my kindle. I think they got the message because they both put their phones away very quickly after that. My sibs and I, who all have children of our own, agree on one thing. No phones at the table. I am not shy about saying to friends: Why did you invite me to lunch if you don’t want to talk to me? It’s blunt but I’ve never had anyone get angry about it. I suspect that they just aren’t thinking. Moonlight, I love your idea of taking your Kindle out and reading. Love it! As I am reading this, I am watching CBS Morning News and they did a report of this very thing and now some children misbehave for attention. I don’t have a smartphone for a reason, I don’t have children just like human contact. Lee Ann, it sounds like more and more of us are noticing how more and more parents are spending less and less time interacting with their children! YESSSSSSSSSSSSSSSS!!!!!! WELL SAID!!!!!! And I do mean the CAPS. My husband and I shake our heads all the time, at the constancy of seeing people absorbed in their Smart phones… All the time… Doing everything, including walking out into traffic without looking! My recent post, about going for a treat Soft Yogurt Sundae… He pointed out to me, man at table over, with wife and small daughter. He was happily smiling, absorbed in his Smart phone! And the wife wasn’t paying much attention either. Grrrr…. Oh thank you for this rant! You are my Hero! For saying this! Especially with the focus on how Parenting is Suffering! Ya’ know, I just may have to jump on your Band Wagon! With a post rant of my own. And I will do a click-able link back to here, if I do, of course! Tessa, after I post my Rants I always worry that someone is going to take offense. So far, if they have, they have been kind enough not to tell me! Wow you took the words right out of my brain! And parents wonder why an entire generation of kids have little to no social skills and can’t seem to connect with other human beings. Just blows the mind doesn’t it! I often envision a world where people no longer speak but instead walk around with cell phones and just text in place of using their voice. SAD, VERY SAD. My husband and I just discussed this very thing after we saw a mom at a park checking her phone with one hand and pushing her child on the swing with the other! We have three boys ages 19, 15, and 7. We know from the older two how quickly they grow up and are trying to enjoy every minute. Lisa V, I would have to wonder what that mother was checking out that was so important… Perhaps she’s a surgeon who was just called in to perform a high-risk operation that only she can perform. Not! Well, I must say your rant is very timely! My husband and I just got back from visiting relatives in Florida. While there, we decided to spend a few days at Disney. We love to visit Disney–lots of happy memories from our trips there when our children were young. The parks were very busy–lots of people everywhere, DOING EXACTLY WHAT YOU HAVE JUST DESCRIBED!!! Parents walking through the parks talking on their phones or texting and missing out on the joy and happiness their little ones were experiencing. What are they thinking? My husband and I sat back and “people watched”. We got to see the looks on the faces of the children when they saw something amazing–their parents missed so much. The situation bothered me a lot, and I find myself telling people about this each time someone asks if I enjoyed my vacation. Parents need to remember that little ones grow up so fast! Thanks for giving me the opportunity to vent. Linda, been there, seen that! My husband and I are absolutely perplexed when we see situations like you just described. What are people thinking?!? Linda, I very much agree with you about WDW. Living in the area, I see so much of this in the parks and the nearby restaurants. It’s very sad families have lost touch with priorities and should spend quality time with one another. Life is too short! Smartphones have their advantages such as if the older kids want to “do their thing” and go elsewhere grounds, at least the parents with still be in touch with them. Or an occasional fussy kid get to play a game to two while waiting for his/her meal. Debbie, sounds like a lot of us have witnessed some pretty messed-up family outings! You are absolutely right (in my humble but accurate opinion)! And the choice of music is spot on! Libby, it looks like there are quite a few of us who have witnessed this growing phenomena. Smartphones – dumb operators. That sums it up. Some parents will never pay close attention to their kids in restaurants (or elsewhere). For example, over 35 years ago, my brother let his kids ‘run wild’ in the restaurant while mine were obligated to behave. My nephew has outgrown the ‘run wild’ stage, but still shows that he was raised by a parent who didn’t pay close attention. My daughter has one child and now tells me that she used to be appalled at how her cousin was allowed to act. Her son at 14 is one of the best-behaved kids around. My son’s four kids are a treat to be with. They all were taught by hands-on parents. On another topic, when I first joined the group, I added your email to my contacts folder, but in the past few days, have found that your emails go to my SPAM folder. Have you made a change in your address? Or is Yahoo just acting up? Joan, Yahoo’s been making changes again. I’ve noticed it on another site I belong to. Susan*, that would explain it. Joan, I think you did indeed sum it up. You’re story about your brother’s and your kids having different rules while dining out reminded me of the exact situation we had with some friends of ours. Actually, we had two couples who we would do things with where it was obvious our parenting techniques were very different than theirs. It’s interesting that your daughter didn’t like her cousin running all over, and that she didn’t just think you were unfair not to let her join him. My brother-in-law is 63 and lives in Chicago. We live in Arizona. He is very lucky the rest of the foursome didn’t throw his phone and him in the lake. Diane, you are probably experiencing the same beautiful weather that we are. Your brother-in-law must be one very busy man! Many many more kids are diagnosed or said to be diagnosed with ADHS now. Some parents just smile sadly at the behaviour of their kid(s) and murmur something about how (s)he can’t help it, it’s that blasted ADHS and how they are sooo worried. Recently, I was only a bystander, a quiet observer on the underground. I did not know the people. And the only thing I saw was a child trying to get some attention from a parent who was a lot more interested in typing/playing on a smartphone. As for myself, yes, I do have a smartphone. I love checking the weather news each morning but otherwise I check for messages about once a day, after lunch. I don’t see any reason for being available 24/7. I feel a bit “odd person out” because I have and love my smart phone. It comes in handy to function as my GPS; I’m able to find a gas station or restaurant when traveling; I can check on the weather; my list goes on and on. But, what I like most is that I am never without a book. I download the Kindle books onto my iPhone and it will go to where I left off on my other device. Having my book on my phone is just one of my favorite features. Now, that said I think there is a difference to using a phone and being rude, inconsiderate, or neglecting a child. It breaks my heart even when I see a baby carriage with the person pushing it being on the phone. No one mentions or points out the butterfly or the bird that flies by. Or, how about the parents who use their phones while their children are in the car!!!! People felt the same way about telephones when they first came out as the smart phones today. To my mind, it is not the phone but the behavior that is troublesome. Your example of a parent not being able to point out a butterfly or a bird as it flies by a stroller is exactly what I was trying to convey. Those instances are exactly what parents should be focusing on, making the world of their children more colorful and exciting. I agree with you about parents ignoring their kids and instead play on their phones. Another thing that I hate that parents do with their cell phones is to take videos of their kids and post them on Youtube. A famous example of this was a little boy who was in the car after the dentist and was groggy from anesthesia. I think these videos objectify kids and should not be allowed to be posted. I am obviously in the minority though as these videos tend to go viral and end up on television segments such as Play of the Day on Good Morning, America. Today, I followed your lead, and put my own “Smart” phone rant up! With a link back to this post of yours, of course. Thank you for inspiring me, to run with a rant, which I live with.